Ship Repair in Whangarei is New Zealand’s most experienced refit and repair specialist. We provide a comprehensive range of ship survey, ship repair and refit service on all kinds of steel hull marine vessels. Repair and maintenance work for intermediate and full ship surveys to meet maritime standards. Marine welding, hydraulic, electrical, hull and structural repairs including blast and paint services – we can arrange everything for you. 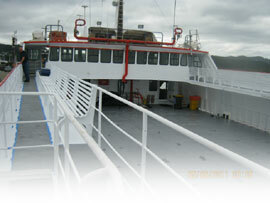 All marine fabrication work provided onsite to a high standard, for repair, replacement or customised fabrication work.